California is a spa lover's paradise, with more hotel and resort spas found here than in any other state. This list represents includes both hotel and resort spas, where you can sample as little or as much of the spa experience as you want, and destination spas, which offer a complete immersion experience with an emphasis on transformation and self-improvement. Many resort spas welcome clients on a day spa basis. Cal-A-Vie, Vista. This elegant destination spa is set on 200 rolling acres north of San Diego. Its 24 guest cottages are decorated in elegant European style. 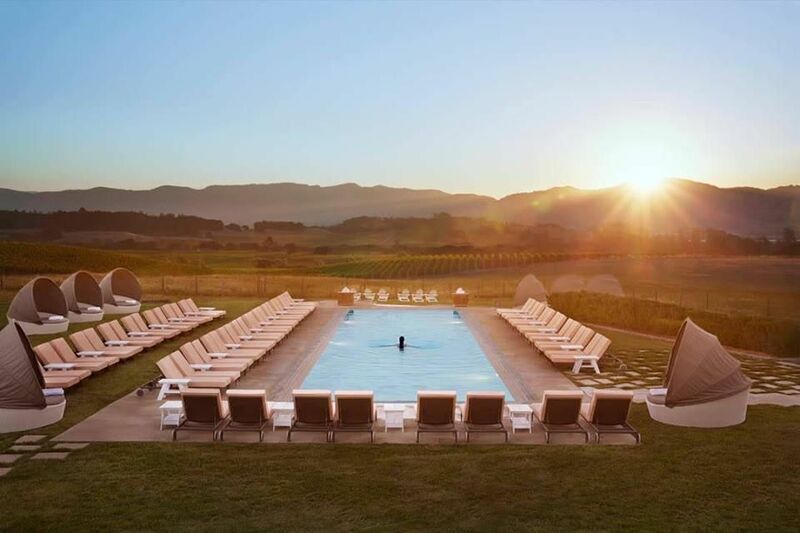 Cordevalle, A Rosewood Resort, draws the luxury spa and golf crowd, and even has a winery on site. All 45 rooms center on a championship golf course by Robert Trent Jones, Jr. that hugs the foothills of the Santa Cruz mountains. Sense Spa takes advantage of the on-site winery with vinotherapy treatments that incorporate grapeseed treatments. Spa at Equinox Century City at the Hyatt Regency Century Plaza, Los Angeles, has 18 treatments rooms, including two rooms for Thai massage, and three outdoor cabanas. It's one block from Westfield Century city Shopping Center, Fox Studios, and The Annenberg Space for Photography. Rodeo Drive and Beverly Hills are both less than two miles away.